First the 'disclaimer'. The info I'm going to talk about this time is for those on Autodesk Subscription only. Apologies to the guys who aren't on subscription. I'll owe you a post! So that's it for disclaimer, on to the info. Like the title implies, the Autodesk Subscription Packs are out on the subscription site HERE. You'll need your subscription login. If you don't have it, your local friendly neighborhood reseller should be able to help you out. So what do they bring to the table for the Inventor user? It depends on the product, but for Inventor, here's what you get. * DWG Block Browser—Browse for your AutoCAD Blocks and put them into Inventor files! They've also added the following tools into Simulation. I'll confess that I haven't had a chance to even touch these yet, but I'm hoping to take a look soon! 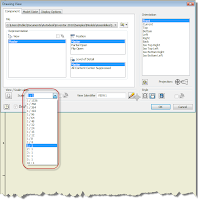 * Editable Simulation Reports—Output simulation results to a single file for editing. Just makes this a little easier.